Sterling silver and real New Lander Turquoise. 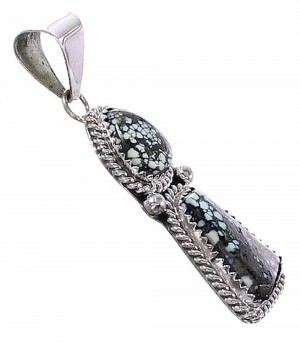 This gorgeous pendant is absolutely distinctive in each and every way! This piece of Native American jewelry is Navajo hand crafted by artist B. Benally, out of genuine sterling silver and real New Lander Turquoise stones. 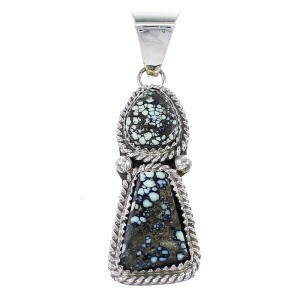 The pendant has a total of TWO stones that are gently set in hand cut bezel, while being accented by mini silver beads and twisted silver for a perfect finish. 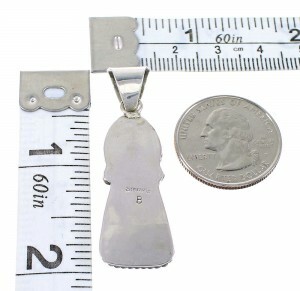 Pendant is stamped sterling and hallmarked.